Tweezle is the baby of his family, but he has some pretty big ideas. What is he up to? The monster family of Stephanie McLellan and Dean Griffith’s Hoogie in the Middle returns in Tweezle into Everything. Having trouble with the video? Try watching the trailer on YouTube. Being the baby of the family, Tweezle tries to do the things big kids do but always gets into trouble because he is too little. Stuff gets broken and a lot of messes need to be cleaned up but Tweezle doesn’t mean to be a troublemaker. When he finds a baby bird in trouble and fixes a nest for it, his family realizes that Tweezle means well and that he is growing up and not just a baby. This book would be a helpful tool to read to an older sibling in preparation of a newcomer in the family. It could help explain to small children what happens when a new smaller child tries to play with them that sometimes they cannot do the same things as they do. Rated E: Excellent, enduring, everyone should see it! “Not only will the message in this cute story win over the youngsters in your life, but the illustrations are sure to capture their attention and imaginations. Bursting with colour and movement, the pictures of the monster family are a lot of fun. I love how bright they are! 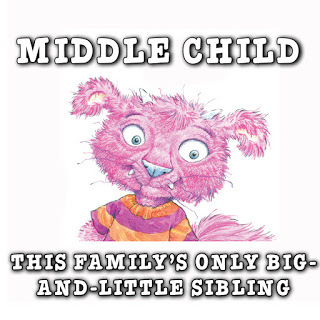 PreS-Gr 2–McLellan’s playful, heartwarming story about a cuddly monster family examines how birth order affects sibling relationships. As the youngest, Tweezle is coddled by Mom and Dad, who call him their “sweet baby.” Tweezle repeats the phrase, “I’m not baby…I big boy!” throughout the story, as he tries prove to his older siblings, Hoogie and Pumpkin, that he is just like them. Tweezle attempts to make pancakes, wash dishes, and help with the garden. Onomatopoeic words (“splash and a crash/blam and a slam”) mimic the chaos that follows poor Tweezle as he attempts to win his siblings’ acceptance. When he rescues a baby bird, the family celebrates Tweezle’s good deed, acknowledging that is was a “big” deal for such a “big” guy. Bright colored pencil and watercolor illustrations adorn each spread, while a soft-hued palette adds calmness. Expansive white space allows readers to appreciate details in the facial expressions. A great addition to both school and public libraries that help teach sibling acceptance and understanding. “Tweezle is tired of being the baby monster of the family. He’s a big boy now—and has some not-so-helpful ways of showing it! McLellan and Griffiths’ previous work, Hoogie in the Middle (2013), had middle monster Hoogie feeling invisible and frustrated. Now Tweezle takes a stand against his birth order. Everyone calls him “little,” but he wants to do something BIG. He tries to help in the kitchen, but the dishes crash to the floor. He tries to help outdoors, but he ends up knocking everything over in the shed. His sisters shout at him: “You’re the lint at the bottom of my pocket!” and “The mud on the bottom of my sneakers!” After this, little Tweezle mysteriously goes missing. His family finds him helping a baby bird that has fallen from the nest. Tweezle has had a big idea after all.Although furry, green and whiskered, Tweezle shares many commonalities with toddlers who are gaining independence. Older siblings in particular will recognize the ways Tweezle’s good intentions sometimes work against him. 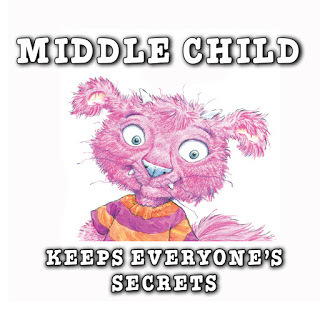 Stephanie McLellan is the author of Hoogie in the Middle, published in May, 2013 by Pajama Press. 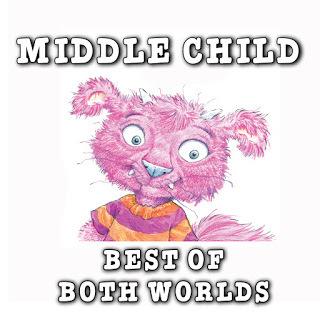 In this interview she talks about writing, family, and being a middle child. Hoogie in the Middle by Stephanie McLellan with illustrations by Dean Griffiths was released in Canada on May 1, 2013 (US publication forthcoming in August, 2013). Readers across the county are falling in love with the magenta middle monster who feels like the hole in the middle of a donut. But what is the real story behind Hoogie in the Middle? Click the link below to watch the trailer and find out. Siblings give us our first experience of the tyranny of comparison. 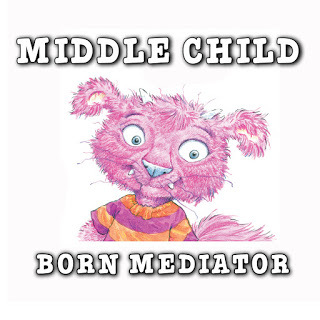 Birth order programs us for life, and, in childhood, where you fit in is as obvious as your shoe size or those marks on the doorframe. It’s no wonder our position in the family is such a rich source of material for picture books. Hoogie in the Middle, by Stephanie McLellan and illustrated by Dean Griffiths, features a family of benevolently hairy monsters who look like a cross between a domestic long-haired cat and one of Sendak’s wild things (the horned one in the striped pullover), resplendent in My Little Pony colours. Pumpkin, the eldest child, is blue like mom. Baby Tweezle is green like Dad, but middle child Hoogie is magenta, like herself. Hoogie feels ignored and neglected, neither as cute as Tweezle, nor as competent as Pumpkin. Finally she has a meltdown, and Dad and Mom helicopter in to comfort her. The pictures carry the emotional weight. The composition of family scenes says it all: close pairings of parent and child leave Hoogie floating alone against a white background; Hoogie looks sideways across a double-page spread but nobody is looking back; her sister and brother are enclosed in circles and triangles while she’s isolated on a facing page. —Q&Q feature reviewer SARAH ELLIS is a Vancouver author and former librarian.